This cemetery close to the northern ring road in Ieper was started during the Third Battle of Ieper in 1917. It is close to the much larger New Irish Farm Cemetery. Soldiers who died at a nearby medical aid post were buried here. The original cemetery contained just 87 burials, including 1 German grave. 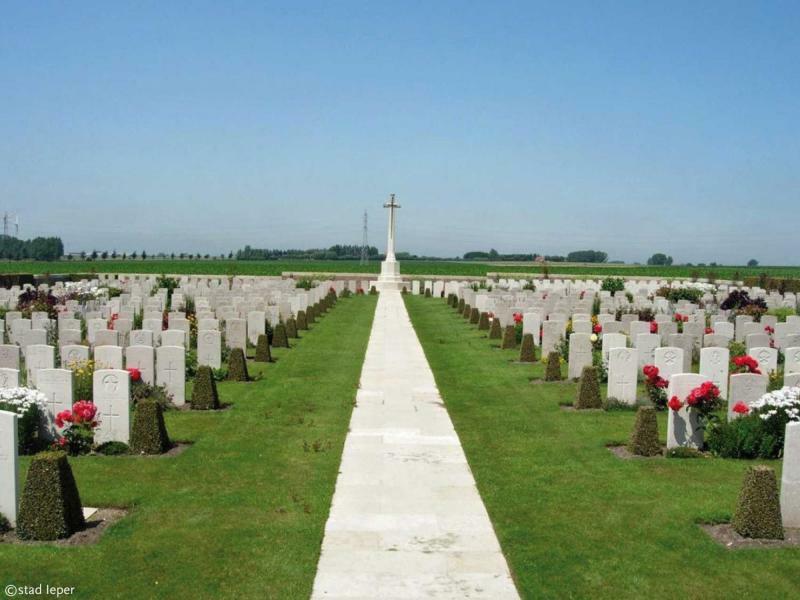 Between 1924 and 1926 the cemetery was extended by the addition of a further 678 casualties from the surrounding battlefields and smaller cemeteries in the area.